Modern Dating: Better or Worse? 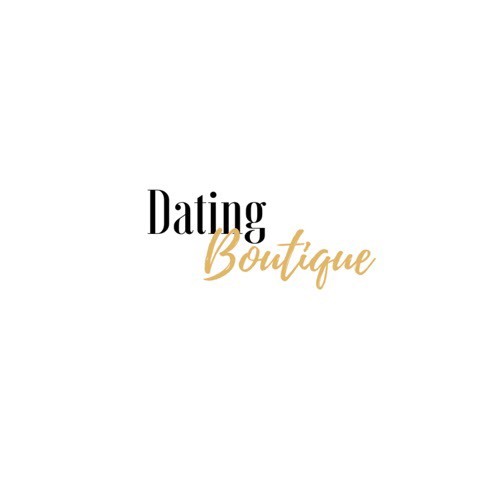 - Dating Boutique Inc.
Modern Dating: Better or Worse? Dating has changed so much over the last decade. The norm for finding love use to be staying in a relationship with your high school sweetheart or finding someone in college or at the local bar. Today we can find potential amazing matches across hundreds of miles and connect with people with various lifestyles. Technology, dating apps & online dating sites are right at our fingertips. We are so use to convenience and having everything in our reach at a moments notice that this comes into play with our dating life. So you think modern dating would be much easier than a decade ago but it often seems harder to find that perfect match. We could have dates multiple times during the week with all the dating apps out there! And when this happens expectations often get distorted. We start always looking for the next best thing. Instead of focusing on what we need vs what we want we lose sight of a true great match. Want to know the best tips to succeed in modern dating? I have 9 tips to help you date successfully, have fun and find love. 1. Know your self worth. Focus on creating a healthy self love and acceptance of yourself. Be the best version of you. If you want someone with a 10 personality be a 10. Also find your passions and who you are as a person before you bring someone else into your life. I see people that set unrealistic expectations so much! And it always sets them up for failure. Focus on your needs vs any unrealistic wants. What are your values and non negotiables? If you have an attractive partner but the values are off the relationship will most likely end in heartbreak. Know your standards and values before you start dating. And make that your #1 priority in a partner. 3. Be open minded about where and with whom you could find love. Don't limit finding love to certain social circles or demographics. Really reach out and find new places to hang out and make an effort to meet new people. If you see a cute guy at the coffee shop or on the elevator, talk to him! You never know what amazing connection you could make. Don’t take the chance of missing the man or girl of your dreams because of fear. Making new connections is so important! 5. Be true to you. Do not try to become someone just because you think someone will like you more. You are beautifully uniquely you. Continue to grow into the person you are meant to be. But don’t change your passions and core values for some else. You will end up miserable and this is not living authentic. One of the most important steps to finding love is moving forward. Don't hold on to your ex. There is a reason the relationship ended. Why are you dwelling on a relationship that is over? Why stay with a person that didn't choose you when there is someone out there that would do anything to be with you? Recognize your past hurts, feel all the hurt and pain and then let it go. We all have stories to tell of heartbreak, unfaithfulness, abuse, and the unthinkable. You are better than all the pain in your life. You were made with a purpose. Forgive those who hurt you and move ahead. Do not let them have one more piece of your precious energy. Use your energy on healing and creating healthy relationships. Surround yourself with things that make your soul smile. Look in the mirror and tell yourself how great you look. Speak and think positive life giving thoughts. When we know our worth that begins to reflect in the relationships we chose. Which is more healthy relationships. 9. Finally, don't give up hope. The perfect match is out there. Sometimes it takes time to find true love. It’s just a matter of weeding out all the bad dates and finding that one amazing partner. All the scars from the dating battlefield will be worth it I promise. Now tell me how you’re actively dating and looking for love with all the modern technology advances? I'd love to hear all your stories! (Office) 917-780-2703 Copyright Dating Boutique Inc @2018. Are you ready to create a life you LOVE? Sign up for our ebook on how today...... It's FREE!